Waze The Tropical Island : Penang Miami Beach, Penang Floating Mosque & Penang Little India. I am always a spontaneous person. And the spontaneity is aligned with my mood as well. I do what I do, go as I please. Planning meticulously would be a hindrance or eventually won’t work out; so I thought spontaneity is the best way. Furthermore, it’s always fun and thrilling to be spontaneous. You never expect what’s coming and what you going to do next, no? 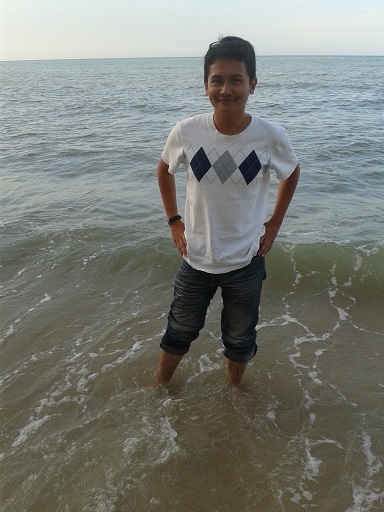 At Miami Beach, Penang. Hahhaa, the name sounds so Florida, no? 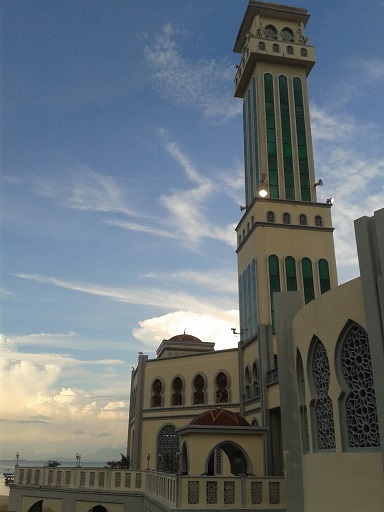 Penang Floating Mosque at Tanjong Bungah. So, yesterday I thought of going to Penang since the BM version of “Frozen” in Jitra Mall was a fiasco because as it was claimed by the counter-boy : “the 10.30 a.m. slot will not be aired due to not many people watching it”… OK, BUT WHY DID YOU PUT THE SCHEDULE SLOT IN THE INTERNET IN THE FIRST PLACE????! Very misleading and I woke up early feeling excited for that, you know! Anyway, had breakfast with Kod and Rifqi and the Nasmeer Jitra. 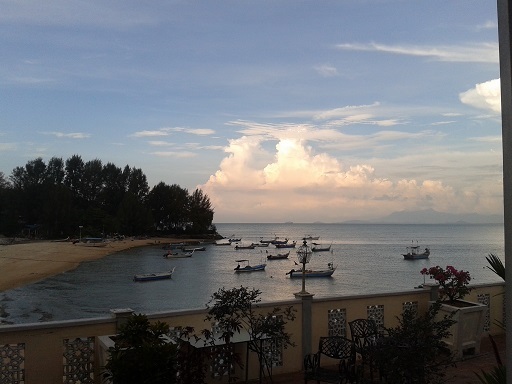 Around 1.30.p.m., I corresponded with Marina and thought it would great to go to Penang since I was no more sleeping! Since Marina now is working in KL too, it would be nice to hear her stories about discovering the working world. Beautiful Turkish exterior and interior architecture of the mosque. A few fishermen boats at the beach. Anyway, we were talking endlessly and then decided to pray at the Penang Floating Mosque in Tanjung Bungah; which also happened to be my first time because it was built in 2007. According to a news I found here which I loosely translate in from BM version (it was said to depict from Utusan Malaysia : http://mymasjid.photo-digital.org/?p=200), the mosque was originally a musolla which was planned to be expanded but due to the scarcity of land and the limited space to erect, an idea to erect a floating mosque (circa beach area) was ignited. It adopted Turkish and West Asian’s architectures and proved to be a sturdy building as the construction of the mosque WAS NOT AFFECTED during the disastrous Tsunami ripples in December 2004 whereas all the surrounding houses were destroyed! 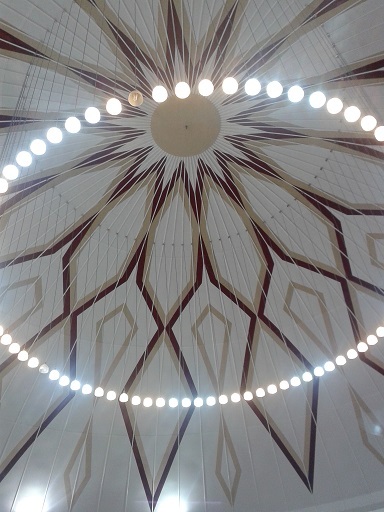 The dome was created in according to the principle of aerodynamic, which is suitable to the seaside atmosphere. Splendid! 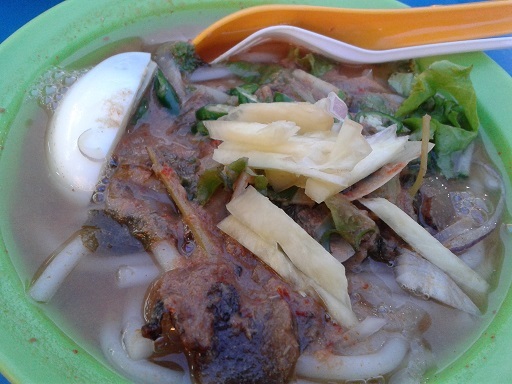 Next, of course feasting on the food at Padang Kota Lama! 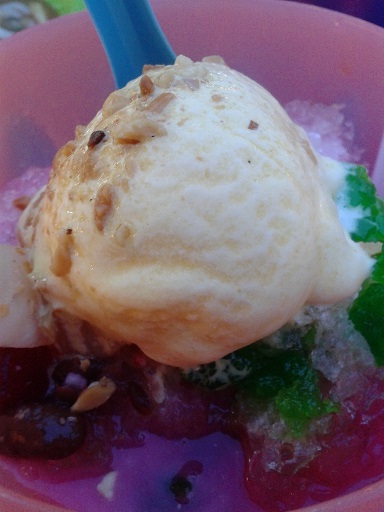 I don’t know how many entries I have written about these but hey, you can’t miss the Penangite foods! Haha! Love the Laksa (my favourite!) 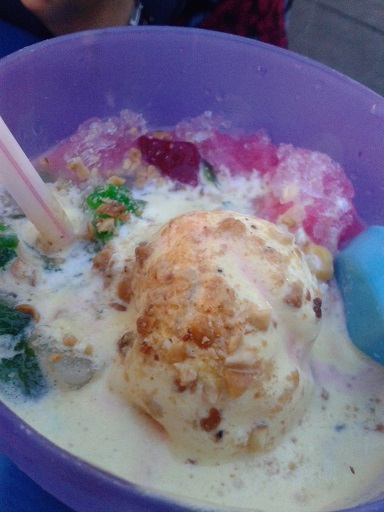 and Ais Kacang (with groundnut confetti and ice scoops! You’ve gotta try THAT!) and Marina assuaged her Pasembur crave! Hahahah! My most favourite of all time!!! Penang Asam Laksa! 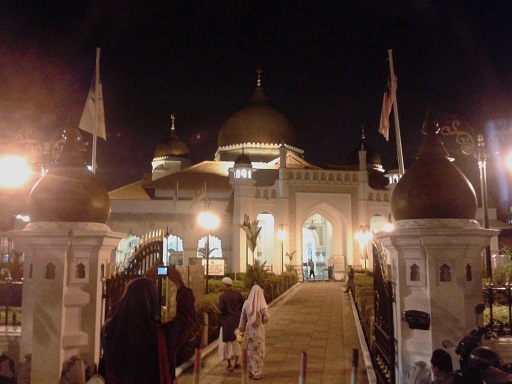 We then went to Masjid Kapitan Keling (I’ve written a piece about it in : https://undomiel84.wordpress.com/2013/06/06/the-29th-bday-episode-iii-standing-on-the-sun-eat-love-pray-history-penang-island/) but never really on the historical stuff. It is the oldest mosque in Penang and was built on the soil belonged to an Indian Moslem Kapitan (leader) named Caudeer Mohudeen. 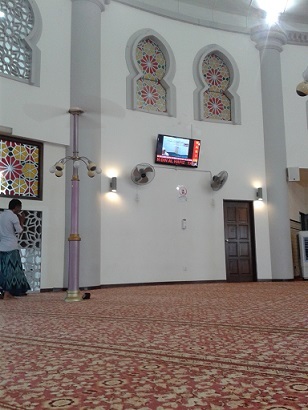 You guys can check the Wikipedia site on it at http://en.wikipedia.org/wiki/Kapitan_Keling_Mosque. 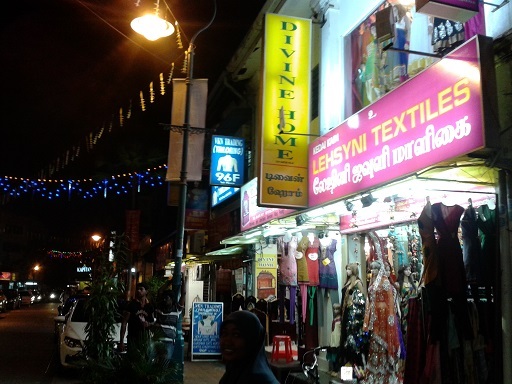 We went there by crossing the Penang Little India. 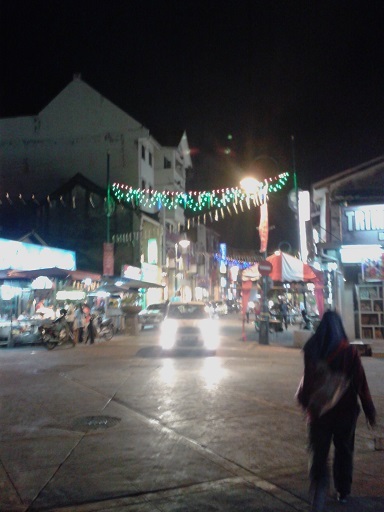 It was rather festive there and I bet it will be more festive during Deepavali! They really celebrate life! For tourists, you guys can check the Wikipedia for the information : http://en.wikipedia.org/wiki/Little_India,_Penang. 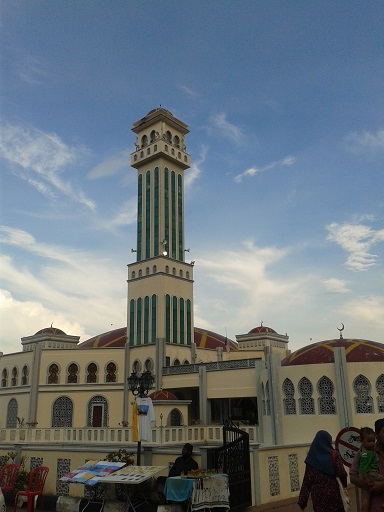 Kapitan Keling Mosque. The oldest mosque in Penang. We called the day off as it seemed as if it was going to rain and I had to dash back to Jitra. Sent her back to Padang Tembak and off crossing the Penang Bridge heading up north! Unfortunately, the traffic was so congested and vehicles queued from Seberang Jaya all the way to the Sungai Dua Toll!!!! BUT what more shocking was that the toll was CLOSED (with red light emblazoned) and we were asked to make U-Turn back to the Island!! Oh, my God!!! 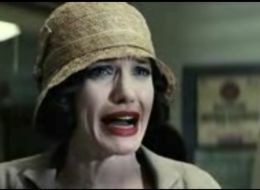 I can’t go back to the island! As it was drizzling (and my wiper wasn’t functioning well), I had to make fast decision! So, I made the detour to the Sungai Dua exit using the old road BUT I DON’T KNOW HOW????! Now, luckily I have the Waze application. So, by using it as guide, I drove through the old, dark and “kampung” roads with names I am not familiar with along the banks of paddy-fields. It was now raining quite ferociously and my car tyres were a bit “unsteady” (perhaps it was just a feeling…but eerie!). Anyway, as I was driving, seemed like it was leading to Kepala Batas. 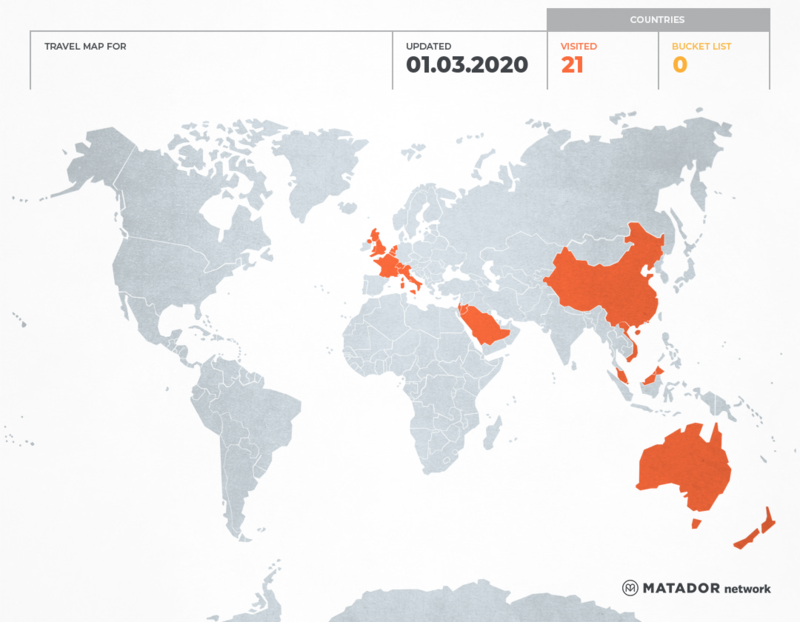 True to the prediction, it then reached the township of Kepala Batas! I checked Waze again and seemed like there were 3 more accidents on the upcoming PLUS highway!! My, my; this shall be very congested and it was already 10.30 p.m. and going to Jitra will take another 2 hours! In the end, I thought of spending night at my Mak Ngah Nah’s house in Lahar Kepar though was a bit reluctant but not choice! 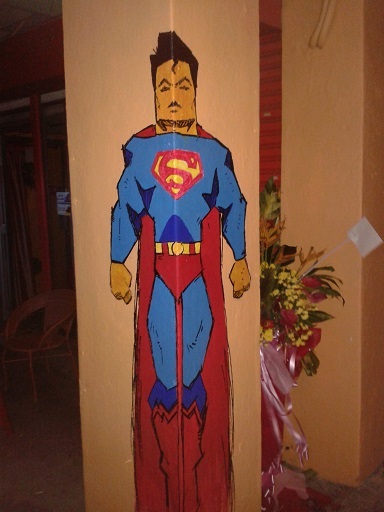 A superman mural on the wall; somewhere in Lebuh Light; I think. Called my cousin, Kak Aida and then went to Lahar Kepar. It was nice to see them and there were many stories we talked. My heart went to Kak Aida who is struggling with the kidney failure and she has to do dialysis frequently. But, her spirit is strong. Amin. Talked with Mak Ngah until 2 a.m. in the morning! We have always been very close since the death of Pak Ngah back in 1995, I think. We talked about life, people’s perception and facing the odds. It was great to have tete-a-tete with your favourite aunt. On whole, I guess what happened is a bless in disguise. Yes, I was frustrated and sad by a response I got from someone when I told about the Sungai Dua Toll fiasco and the detour and the need to stay overnight. But, what is it to person if I face problem going back at night? As long as I don’t stay overnight at Penang or anywhere else – such a controlling freak, I daresay! I got pissed off and yeah, it was a bit of emotional outbursts. But I guess it’s a bless. Perhaps it’s time for me to re-evaluate? I don’t call it as ‘love’; more like ‘infatuation and controlling’. – well don’t bother. It’s not like the person read my blog, anyway. Like I give a f*cking care, right? I am no marionette; I like to be free – not caged. Enough said. ← Mára Aurë, Silvan Elves : “The Hobbits : The Desolation of Smaug”. You are making me so crave! delicious! Ismadi : yes my island home!